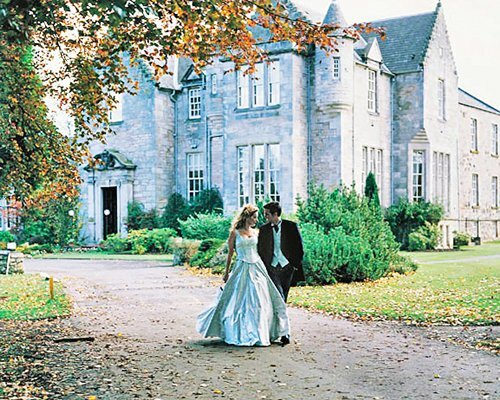 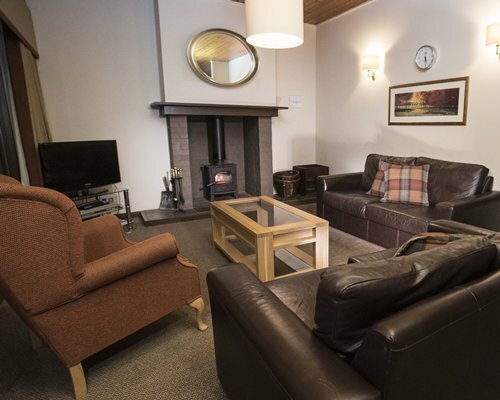 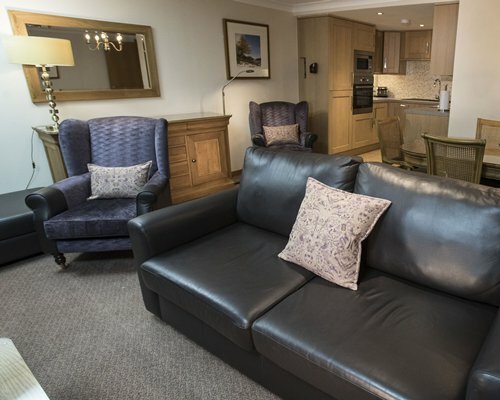 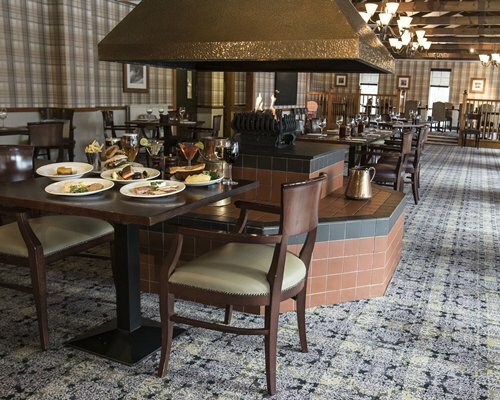 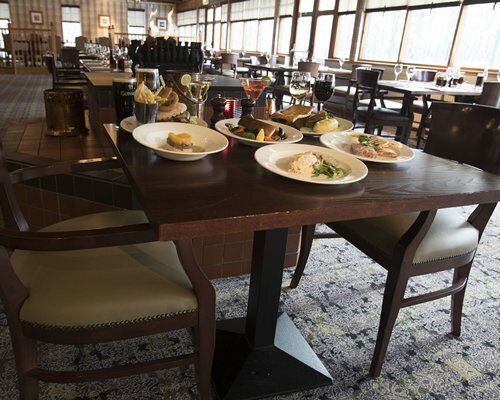 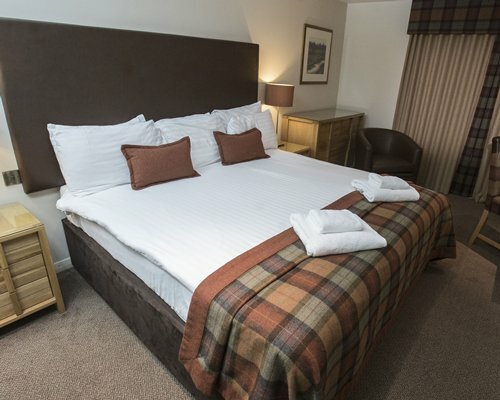 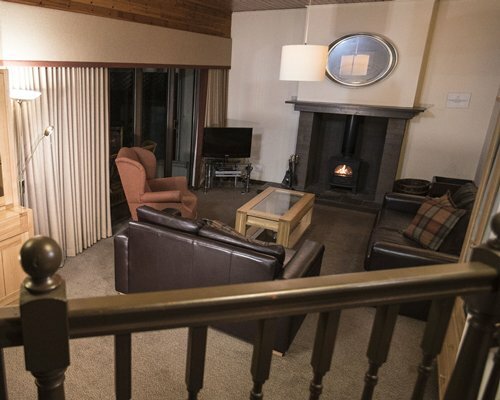 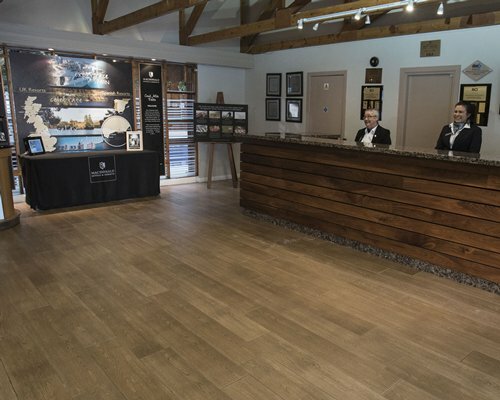 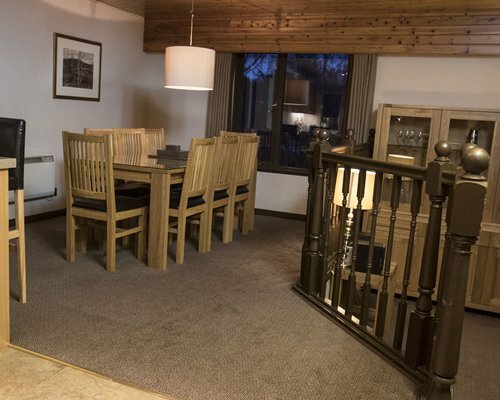 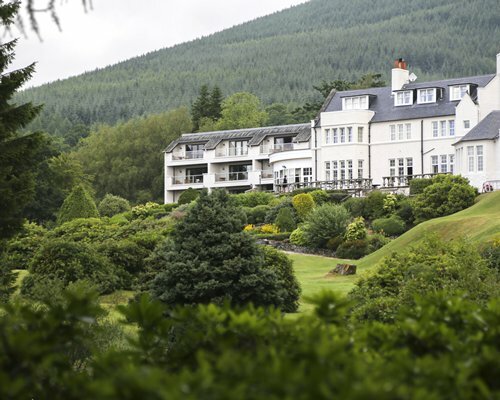 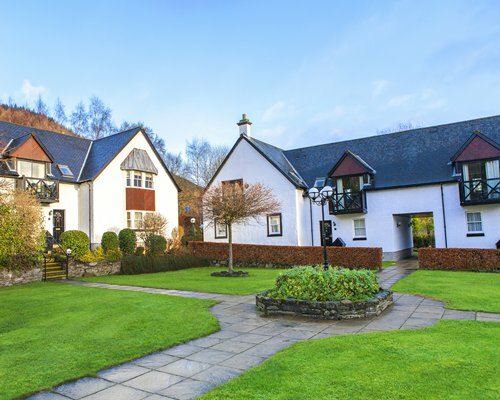 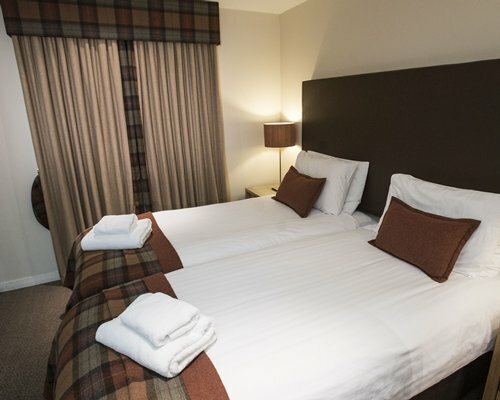 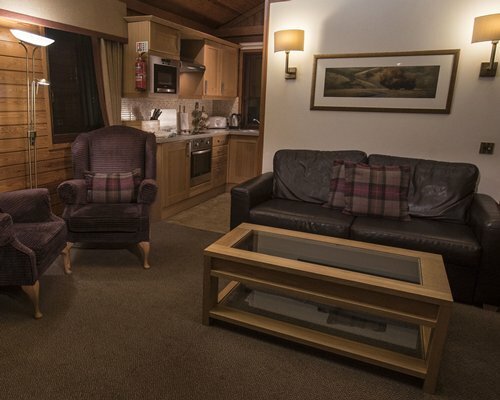 The resort has 95 apartments ranging from chalets, one-, two- or three-bedroom apartments, bungalows and Cairngorm Villas. 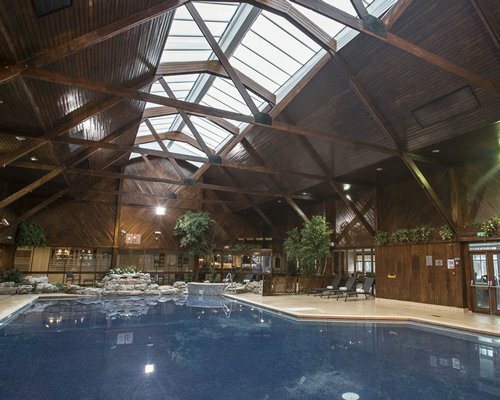 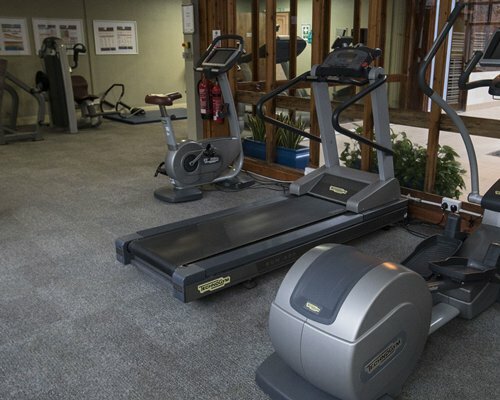 The leisure facilities include a heated indoor swimming pool, indoor tennis court, snooker table, badminton court and gym. 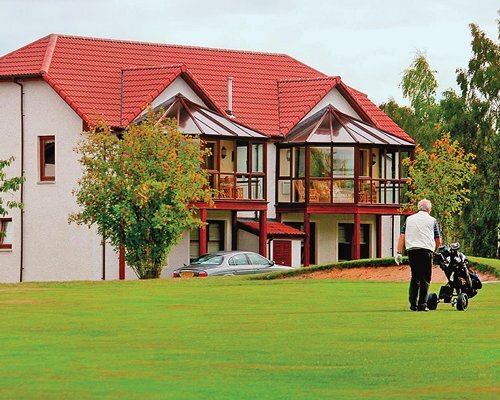 There is also a nine-hole golf course, which is free for guests to use, and all-weather tennis courts. 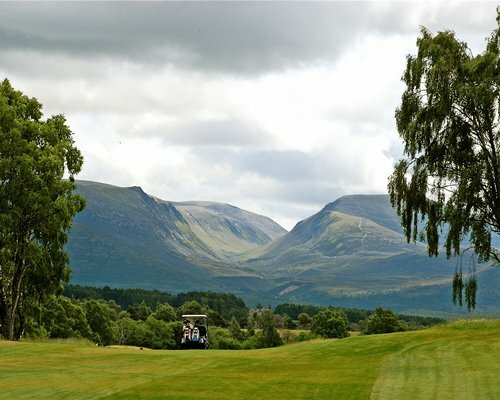 Spey Valley Championship Golf Course is next to the resort and concessionary green fees are available for those who want to perfect their swing. 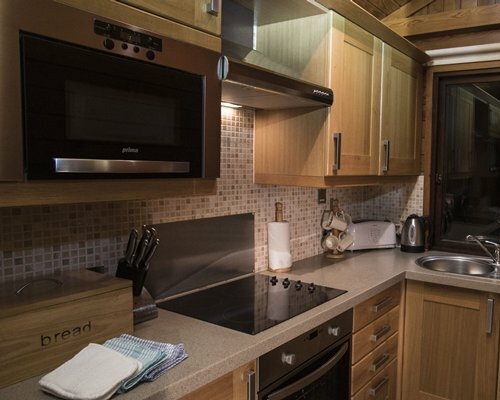 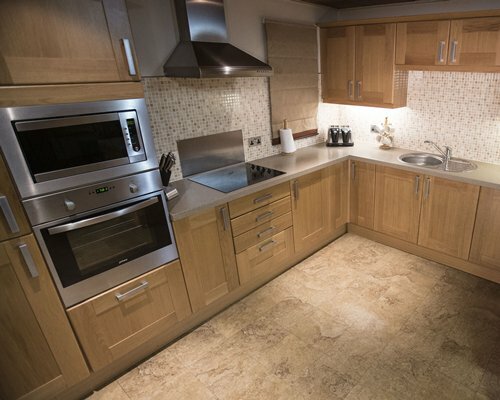 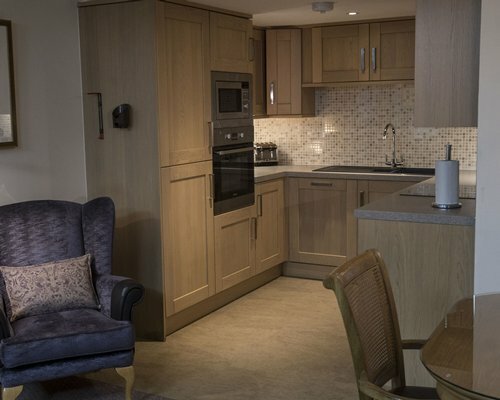 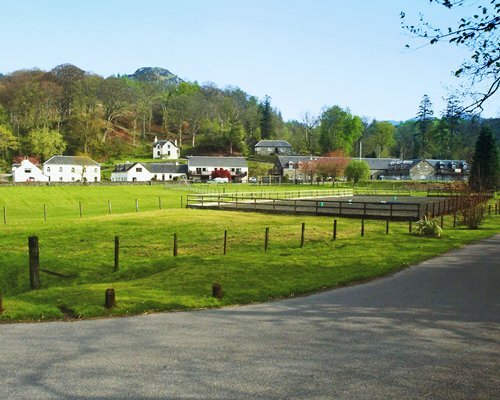 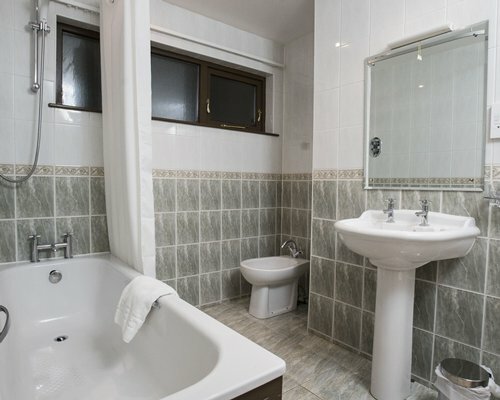 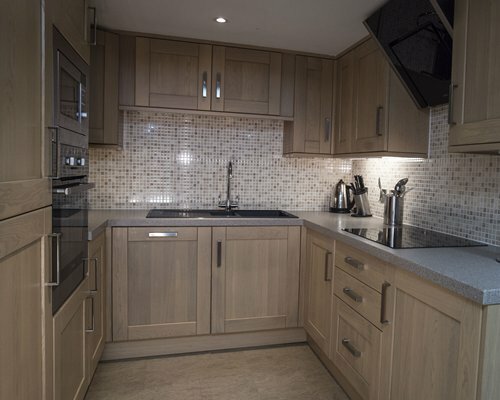 All accommodation is furnished to a high standard with fully fitted kitchen, telephone, fridge/freezer and microwave. 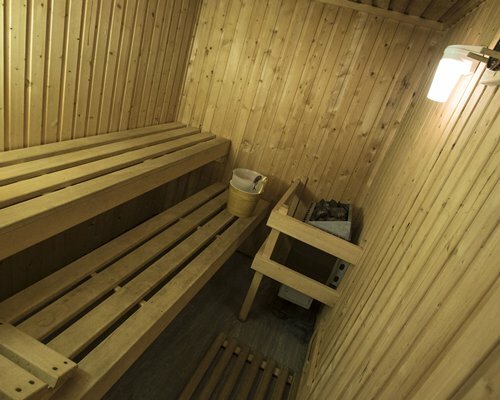 Some also have a private sauna. 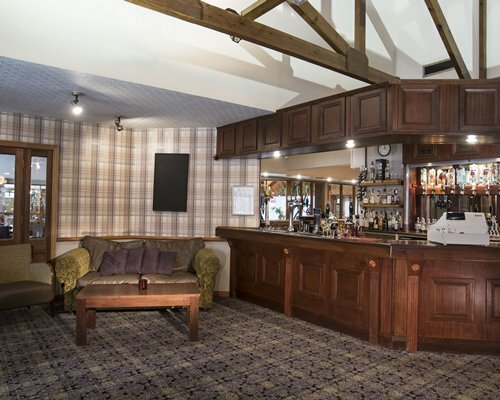 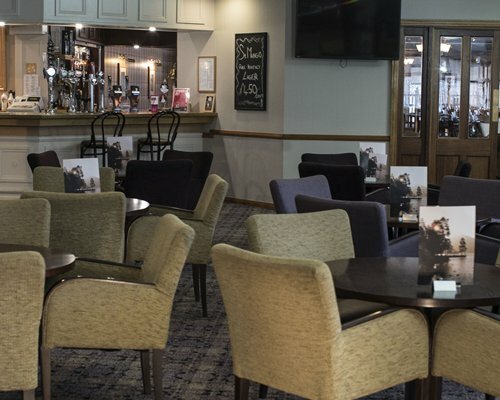 Free WIFI available in the Bar and Restaurant area. 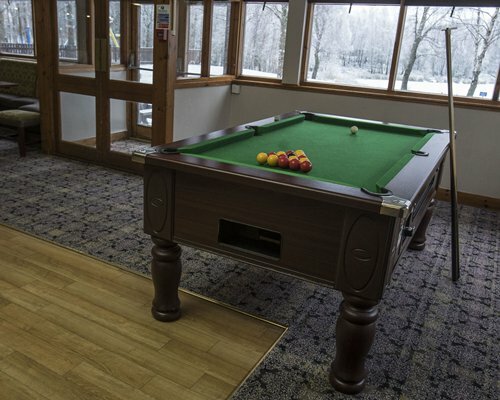 Interactive TV system which also provides movies on demand, music library and a choice of games for the children. 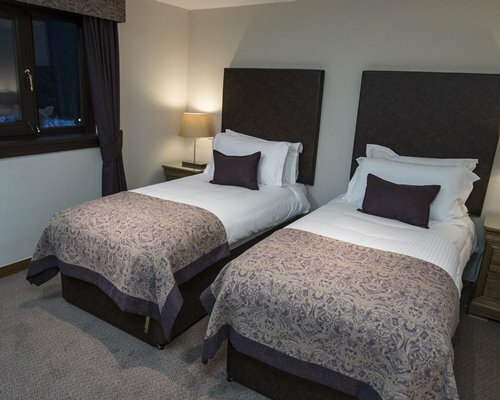 BY AIR: Nearest airport Inverness (55km) BY ROAD: From the south, a modern motorway network links to the M74. 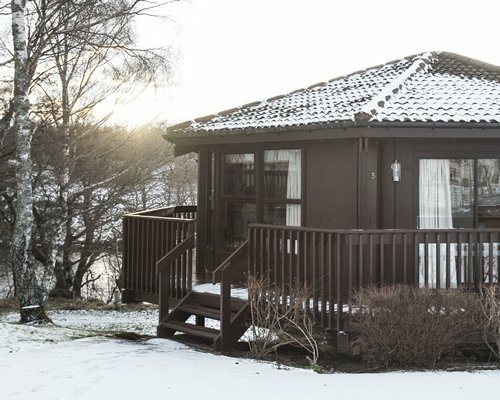 Follow the M9 or M90 to Perth and then the A9 to Aviemore. 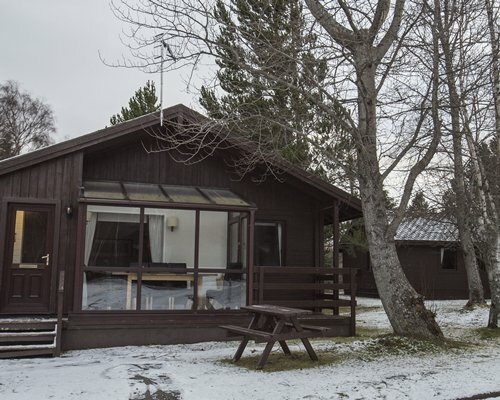 Dalfaber is signposted from the north end of Aviemore. 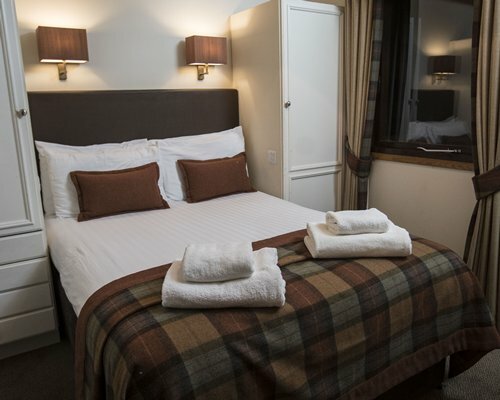 BY RAIL: From Kings Cross or Euston to Aviemore direct by Inter City or overnight by Sleeper. 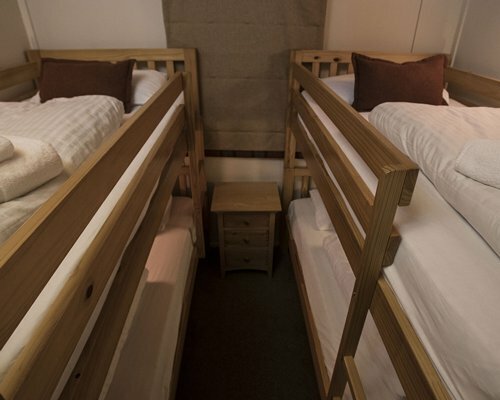 The 3rd bedroom in all patio units is a bunk annex from 2nd bedroom.